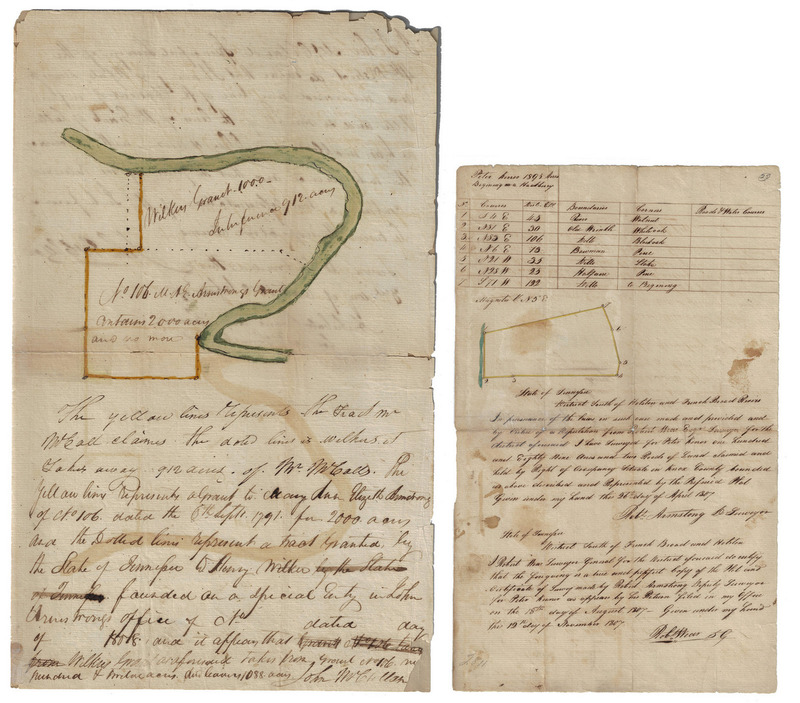 Two (2) early East Tennessee hand drawn plats, including one signed by Archibald Roane (1759/60-1819), Tennessee's second governor. 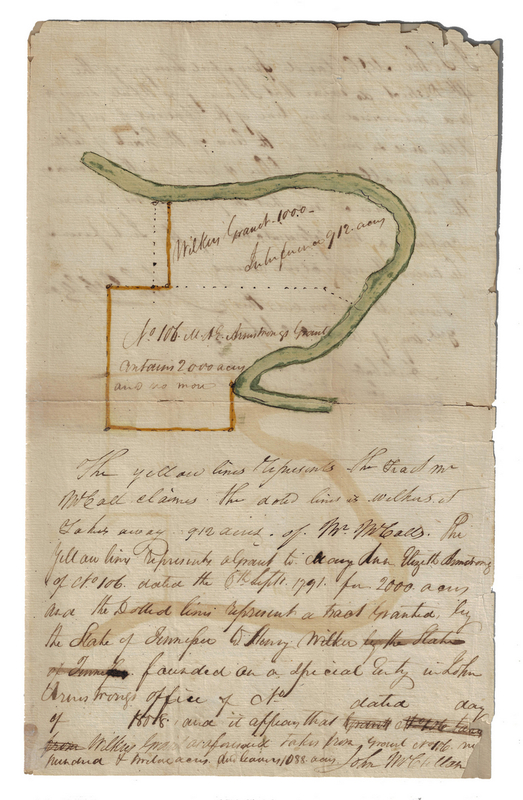 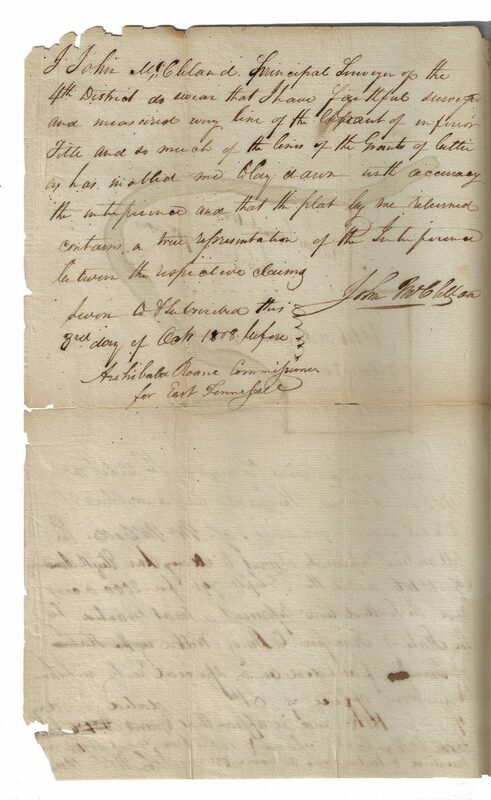 1st item: Land survey with hand colored lines showing boundaries between land owned by Henry Wilkes or Wilker, a "Mr. McCall," and Elizabeth Armstrong, surveyed by John McClellan and dated October 3, 1808. 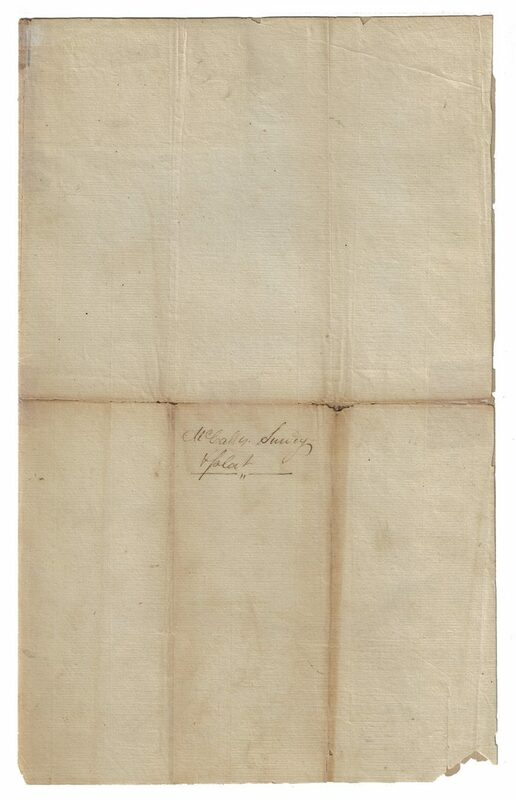 Countersigned by Archibald Roane, Commissioner for East Tennessee. 12 3/4" x 15 3/4" (unfolded). 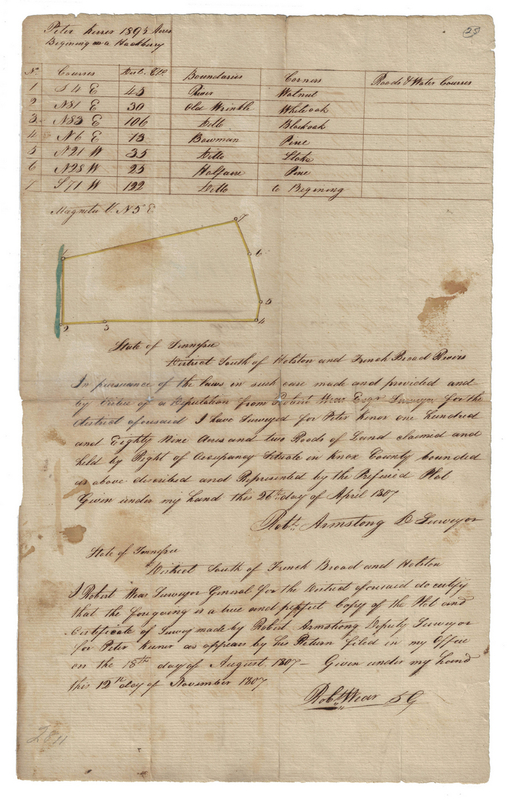 2nd item: Knoxville area land survey with boundary chart and map with hand colored lines, showing " the district South of Holston and French Broad Rivers," surveyed for Peter K—, signed by surveyors Robert Armstrong and Robert Wear, and dated April 26th and November 12, 1807. 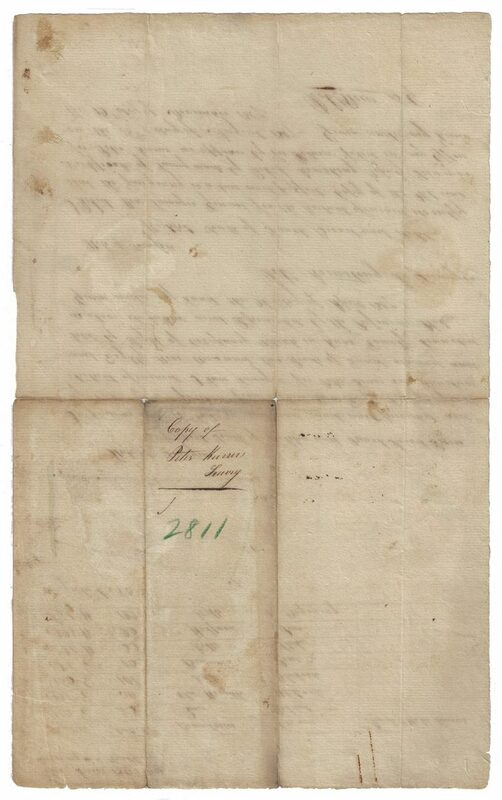 8 1/8" x 13 1/4". Provenance: The estate of Dr. Benjamin H. Caldwell, Nashville, Tennessee. CONDITION: Folded in center. 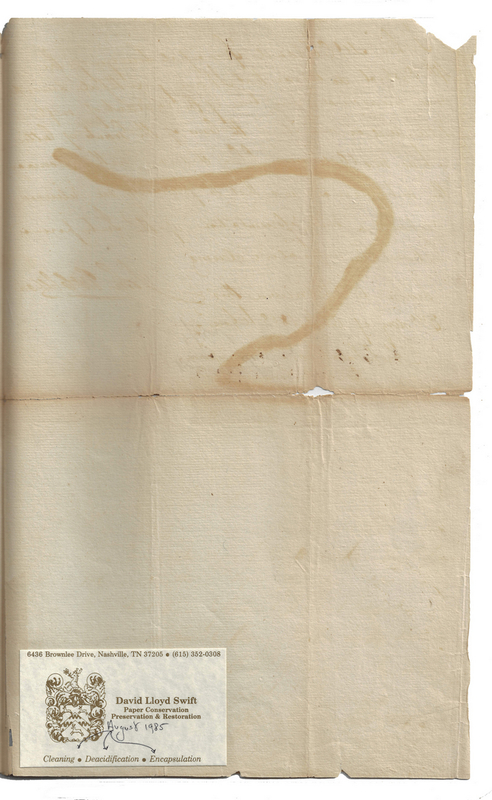 Separations and small losses along fold lines, chipping along edges, small losses at 3 corners up to 1" length; overall toning.